TSP Legal > News > General News > What is a Legal Charge? What is a Legal Charge? Thompson Smith and Puxon Residential Property solicitor, Abbie McKay, explains legal charges and how they could affect a property sale. A legal charge is a method by which a lender protects the money they have lent to an individual or company. 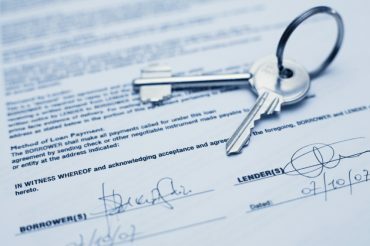 It is a legal document signed by the borrower and which is registered against a property at the Land Registry so as to alert any potential buyer of the existence of the debt. This means that it would not normally be possible to sell the property without the charge being removed, which would usually require repayment of the money owed. The legal charge itself will normally set out the amount borrowed, the terms on which it has been borrowed and the means by which the lender can enforce their rights against the property. One of the most common types of a legal charge is a mortgage from a bank or building society. In consideration of the mortgage funds that you are borrowing, the bank or building society will require a legal charge to be secured against the property. The legal charge will remain registered against the property until such time as the mortgage is repaid. If there is a default under the terms of the mortgage, e.g. missing the monthly payments, the bank or building society can rely on their legal charge to enforce their rights. Ultimately, this could mean that the bank or building society sell the property. As well as banks and building societies, there are others who may wish to make use of a legal charge. This could include parents who have lent money to their children to help purchase a property and wish for the funds to be repaid. Here, the legal charge would be tailored to the particular circumstances. This could include details on whether interest would be payable, whether there would be any monthly repayments or indeed whether the funds would be repayable on the sale of the property only. Companies and individuals could also agree with a borrower to use a legal charge to secure monies that are owed to them other than in relation to the purchase of the property. A legal charge will only be removed once all of the funds borrowed (including any added interest and fees) are repaid. If at the time a property is sold there are still outstanding monies owed to a lender, the lender will be repaid out of the sale proceeds assuming there are sufficient funds available. The lender would be paid first, followed by the other fees and disbursements incurred in connection with the sale. The balance of the sale proceeds, if any, will be paid to the seller. Once the debt is settled in full, the lender will sign a legal document to remove their charge from the title at the Land Registry. Some lenders will arrange to send this document to the Land Registry themselves, whilst others will require the seller’s solicitors to do this. For general advice in relation to any residential property matters, including legal charges, please contact Abbie Mckay at Thompson Smith and Puxon on 01206 574431 or by email at laura.finnigan@tsplegal.com.